Welcome to another installment of If My Book, the Monkeybicycle feature in which authors shed light on their recently released books by comparing them to weird things. 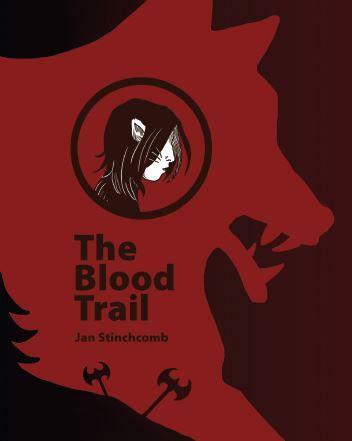 This week Jan Stinchcomb writes about her new story collection, The Blood Trail, out now from Red Bird Chapbooks. If The Blood Trail were your college roommate at Forest U, they would transform into a different animal before each class. Still, they would wait for you and help you to choose an outfit. Something cool. If The Blood Trail were the carriage driver you hired to pick you up at LAX, he would insist on taking you to the Venice Canals. He would stop in front of your secret favorite cottage. He would march you straight to the front door and hand you a golden key. If The Blood Trail were your Father King, he would tell you to displace him. He would hand you a sword and a goblet and then smile. He would wait for you to do what must be done. Jan Stinchcomb is the author of THE BLOOD TRAIL (Red Bird Chapbooks) and FIND THE GIRL (Main Street Rag). Her short stories have appeared in numerous journals, including Whiskey Paper, Monkeybicycle, Storm Cellar, FLAPPERHOUSE, The Forge Literary Magazine, New South Journal, Gamut Magazine, Jellyfish Review, Necessary Fiction, A cappella Zoo, and PANK online. She is a reader for Paper Darts and lives in Southern California with her husband and children. Follow her on Twitter at @janstinchcomb.